CREECH AFB, Nev. --- Airmen from the 432nd Wing/432nd Air Expeditionary Wing and the 26th Weapons Squadron, Nellis Air Force Base, Nev., made history earlier this week, by employing the first GBU-38 Joint Direct Attack Munition from an MQ-9 Reaper. While the JDAM has been around since the late '90s, the munition has just recently been validated and now proven for real world engagements marking a significant step in the Reapers’ joint warfighter role. "We had a great opportunity to drop the first live GBU-38s in training," said Capt. Scott, 26th Weapons Squadron weapons instructor pilot. "The GBU-38 is a weapon we've been trying to get on the MQ-9 for several years now and we had the opportunity to be the first to drop during training." While waiting for the aircraft to approach the target area, members of the weapons squadron waited anxiously. After the bombs successfully struck their practice targets in a controlled environment, the entire room cheered. 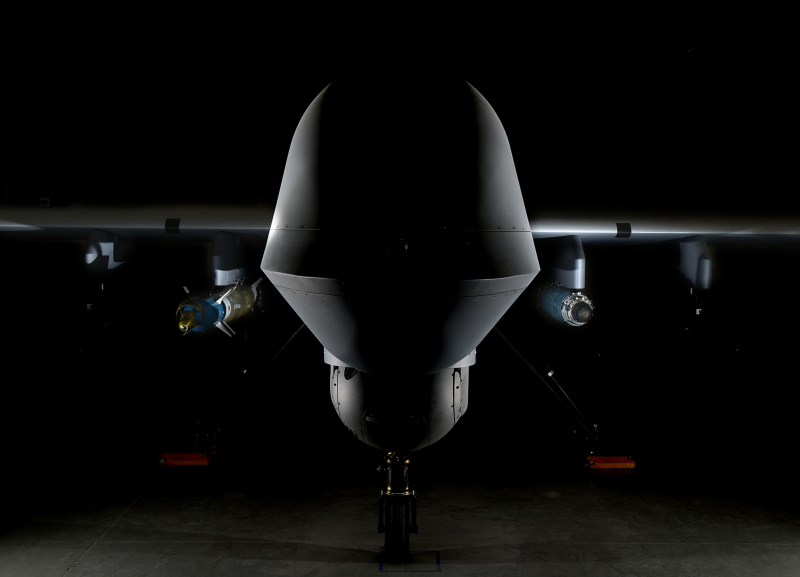 For the past 10 years, skilled MQ-9 aircrew have been employing AGM-114 Hellfire missiles and GBU-12 laser-guided bombs, but the JDAM brings new global positioning system capabilities to the warfighters. "The GBU-38, just like the Hellfire and GBU-12, is a very accurate weapon and the fact that it’s GPS-guided gives us another versatile way to guide the weapon, specifically, through inclement weather onto targets,” Scott said. The JDAM being added to the arsenal is another step in furthering the attack capabilities of the MQ-9 Reaper force. "There’s definitely times when I could’ve used the GBU-38 in combat prior to this," Scott said. Not only does the GBU-38 perform through poor weather conditions, it also helps the munitions Airmen and the weapons load crew members who load them. Incorporating this new munition into the total strike package will give MQ-9 aircrews additional capabilities. "Our job at the weapons school is to train to the highest standard possible," Scott said. "We're going to take the GBU-38 and incorporate it into our advanced scenarios, prove the weapon and integrate with all Air Force assets. What that gives us is the ability to take it downrange and employ in the most demanding circumstances possible." The JDAM will add flexibility and efficiency to the targeting process. Aircrews will continue to employ the AGM-114 Hellfires and GBU-12s downrange in addition to the GBU-38 that is now ready for combat. "The overall impact of the GBU-38 is aircrew will have more versatility for the commanders to provide different effects and make a difference for the guys on the ground," Scott said. "It has a different guidance system and it opens the bridge to more GPS-guided weapons in the future."